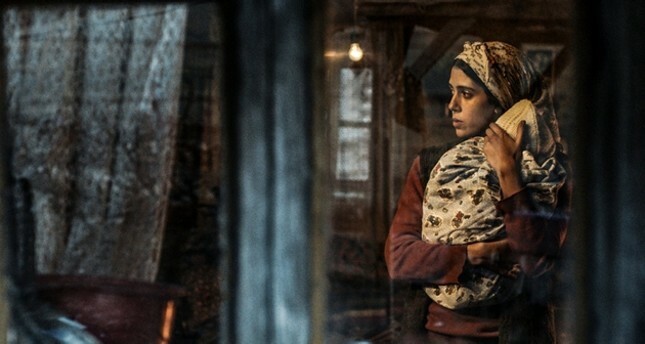 Scene from Turkish director Emin Alper's "Kız Kardeşler (A Tale of Three Sisters)," winner of the 2019 Golden Tulip Award. The 38th Istanbul Film Festival awards were announced Wednesday, honoring the achievements of Turkish and international directors, actors, actresses, scenarists and producers. The competition, held within the festival organized by the Istanbul Foundation for Culture and Arts (IKSV), included a total of 52 movies evaluated on the national and international level. The award recipients were announced during a ceremony held at the Rahmi Koç Museum in the Fatih district of Istanbul. In the international competition, the South Korean movie "House of Hummingbird" directed by Kim Bora won the Golden Tulip Award for best movie. The award was announced by Scottish film director Lynne Ramsay and was presented by Atalay Gümrah, the CEO of Eczacıbaşı Group. Also in the international competition, the Special Jury Prize was given to Suhaib Gasmelbari for his documentary, "Talking About Trees." In the national competition, the Golden Tulip Award was given to "Kız Kardeşler" (A Tale of Three Sisters), directed by Emin Alper. The drama movie was selected among nine Turkish films released in the 2018-2019 season. The award was presented by the chair of the national jury, Turkish director Ümit Ünal. Alper also won the Best Director award for the movie. The Jury Special Award, which is given in the memory of Turkish writer and poet Onat Kutlar, went to Emre Yeksan for his movie "Yuva." Cemre Ebüzziya, Ece Yüksel and Helin Kandemir shared the Best Actress Award for their roles in "Kız Kardeşler" while Kutay Sandıkçı won the Best Actor Award for his role in "Yuva." In the National Short Film Competition, initiated to encourage and support the production of high quality short films, director Gökalp Gönen's "Avarya" won the Best Short Film Award. Out of 11 films competing in the National Documentary Competition, the prize went to "Do You Think God Loves Immigrant Kids, Mom?" directed by Rena Lusin Bitmez. Festival Director Kerem Ayan said at the award ceremony that the participation rate in the festival was higher than last year's rate, thanking all who contributed, including the jury. Canadian director Philippe Lesage, actress Damla Sönmez, Irish actor Moe Dunford and director of the Berlin Film Festival European Film Market Matthijs Wouter Knol took part in the international competition jury under the chairmanship of Ramsay.